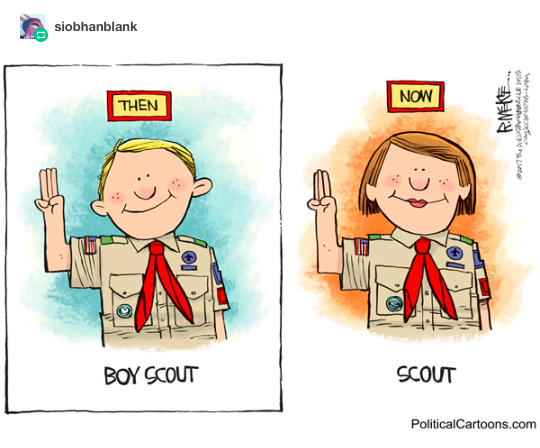 Earlier this month, it was announced that the Boy Scouts of America would begin admitting girls into the Cub Scouts starting in 2018. 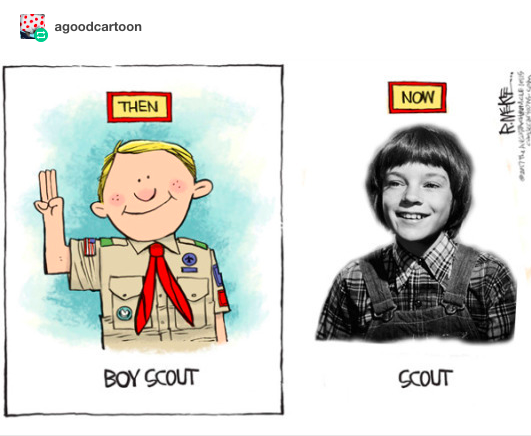 Some people started suggesting edits for the cartoon. 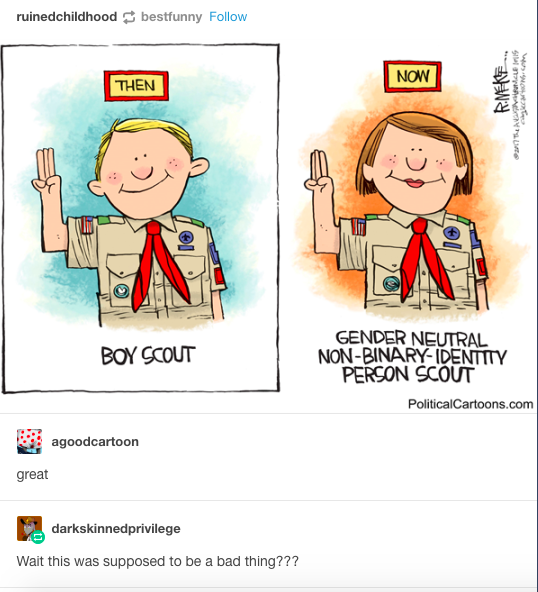 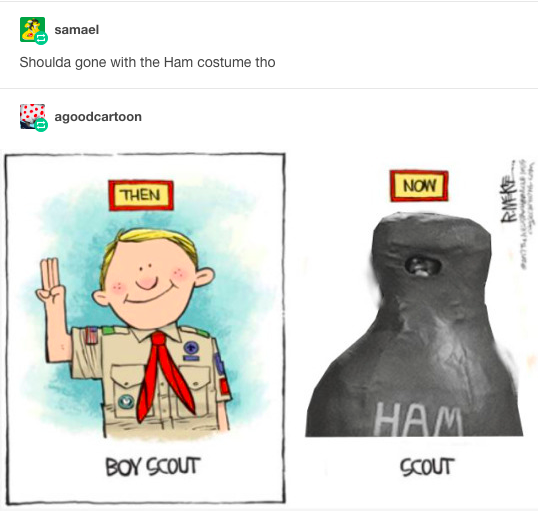 Other posts pointed out that the Girl Scouts, who have voiced their fears over the boy Scouts’ announcement, have welcomed trans people for years.